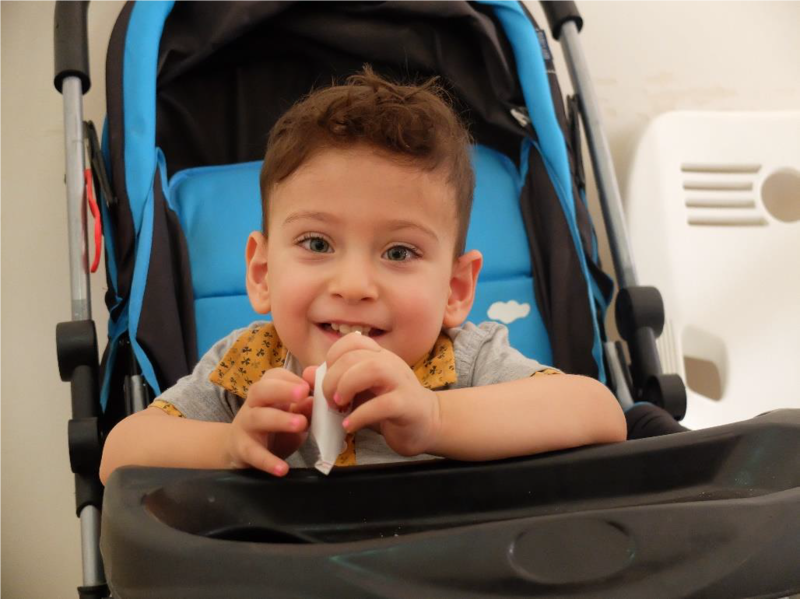 Muhamad is a 2 and a half year old boy, who was born to a family of Syrian refugees. His parents lived in a suburb of Damascus, but with the deterioration of the security situation in their country in 2012, they decided to move to Iraqi Kurdistan. In 2015, after 7 years of marriage, a long time expected child was born. Soon after Muhamad was discharged from the hospital, his parents noticed that there was a problem with his spine. He was born with a condition called spina bifida. This occurs when the bones of the spine do not form properly around part of the spinal cord. At the age of 4 months, he underwent a surgery but as a consequence he developed hydrocephalus – accumulation of cerebrospinal fluid within the brain. Muhamed needed another intervention to place a drainage tube to reduce the amount of cerebrospinal fluid in the brain. In the future, he will also need another surgery to close the defect. Muhamad’s family is in a poor financial situation and is struggling to cover all his surgeries’ expenses. On top of that, Muhamad also needs expensive physiotherapy because he is not able to move his lower limbs and is also incontinent. Regular physiotherapy is the most important part of the treatment so in June 2017 we decided to start supporting Muhamad. Since that time, his condition has been slowly improving and especially thanks to the French Association for the Aid of Youths with Disabilities and People with Handicaps (Association pour l’Aide aux Jeunes Infirmes et aux Personnes handicapées) we can guarantee this support longer.